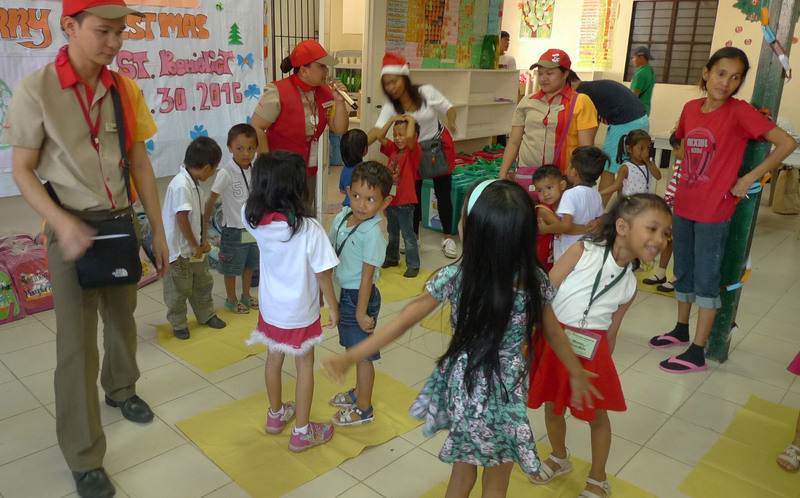 Nov 30, 2016 – We had an early Christmas celebration for the kids and parent volunteers in St. Benedict, Payatas. It was a morning filled with games, prizes and fun surprises for everyone! We would like to thank sponsors who donated Christmas gift packs for the kids and the parent volunteers. Special thanks to Mr. Rudy Ang of Jollibee and the Jollibee Marikina crew and Ms. Candice Ang of Hanabishi for the electric water kettles for the moms. To all those who donated toys and groceries for the kids and the volunteer’s families, you truly made it a memorable Christmas celebration for them!